Laverne Cox is a huge Beyoncé fan. Like, member of the Beyhive, screaming at a concert-level fan. We can’t even imagine how much Cox is stressing right now because she just announced that she and the Queen are working on a top-secret project together. The details are being kept under wraps, but Cox did echo the statement again on her Instagram. "Yes it's true. I am collaborating with @beyonce on a new project. #QueenBey herself. More details Sept. 6," Cox wrote on Instagram. Cox is truly one of Beyoncé’s biggest fans. They met for the first time at the 2017 Grammys, and Cox told People all about it. “Many times I imagined meeting Beyoncé and every time I imagined it I was in tears and I was like ‘Oh my God, I cannot like freak out and cry.’ But it’s amazing when you meet the queen and calm covers you,” she said at the time. Their meeting sounds like it’s out of a fandom fairy tale in the best way. 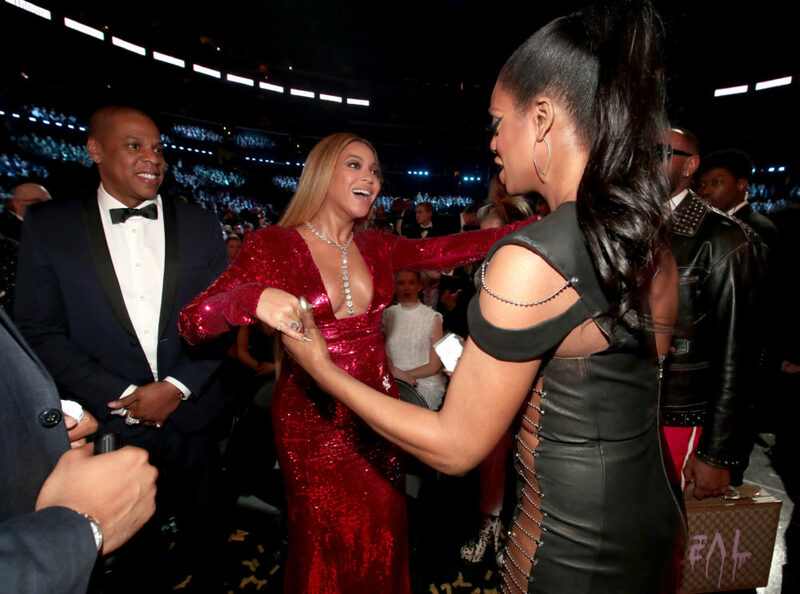 “I was like, ‘I love you,’ and she’s like, ‘I know you do…I love you, too.’ And she’s like ‘Your Lip Sync Battle was amazing,’—she had seen I did Destiny’s Child,” says Cox. O.M.G. In case you were curious, you can watch Cox’s Lip Sync Battle here.